Time to learn how to play Apex Legends’ third DLC character. 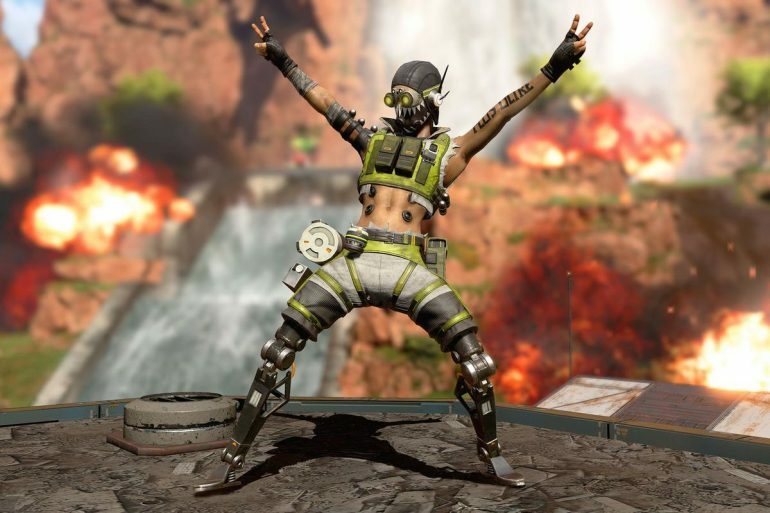 With the launch of Apex Legends’ season one Battle Pass, players have their first new character to play since launch. The hot-blooded Octane has great movement and healing options, making him useful to any team in potentially any situation. His kit is built around being a high-speed daredevil, so prepare to be running around a lot as a decoy for your team. Get a bit more daring with him though and you’ll pick up your first win on Apex’s best new character in no time. Swift Mend is a unique passive to Octane that heals the character over time while not taking damage. With this ability, you want to be the main scout of the team, running forward without fear of taking a bit of damage as you’ll be able to heal it all back up. With this passive, you also won’t need to worry about keeping ahold of all those precious healing items (apart from a few for really rough situations) and can instead allow your team to gobble them up. Octane’s main ability, Stim, increases your movement by 30 percent for six seconds, but is activated at the cost of some health, making it a double-edged sword ability. Of course, the ability to move faster is ideal for a quick getaway or to catch up to an opposing team. But as you are losing health, it’s always going to be dangerous to pull off. As such, you want to try to use the ability as a last resort when you can, when all other options are off the table. Of course, you can use it offensively to chase an opposing player down, but you’re just making it easier for them to knock you down in the process. Launch Pad, Octane’s ultimate, spawns an object on the floor that can launch players high into the air, allowing them to traverse large portions of the map with ease. It is arguably one of the weaker Ultimates available to champions, as its uses are limited. Of course, it could be helpful to get your team out of a pinch or reach certain areas quickly, but it has no further uses in tense combat situations. You want to use the ability mainly at the start of the match to get your team closer to the circle. It gives you more time to loot areas without worrying about outrunning the circle and essentially gives you an alternative way to get on top of the Drop Ship or other areas of interest. While it could be used as a perfect escape tool, just remember that anyone can use that launch pad, not just your teammates, so if you use it for a quick getaway chances are the enemy will also use it to catch up to you.